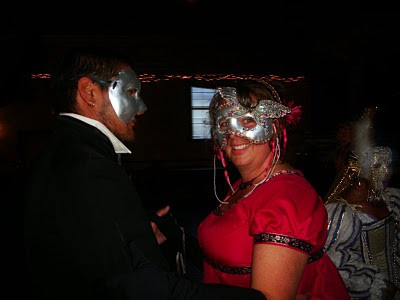 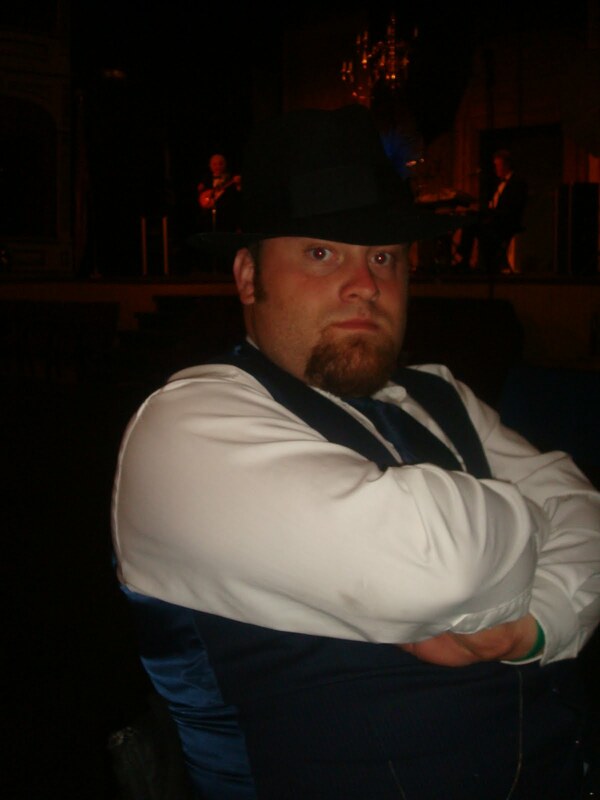 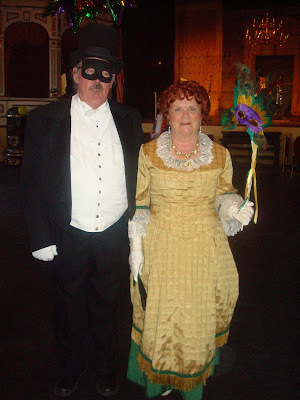 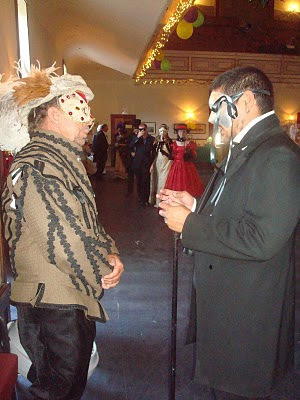 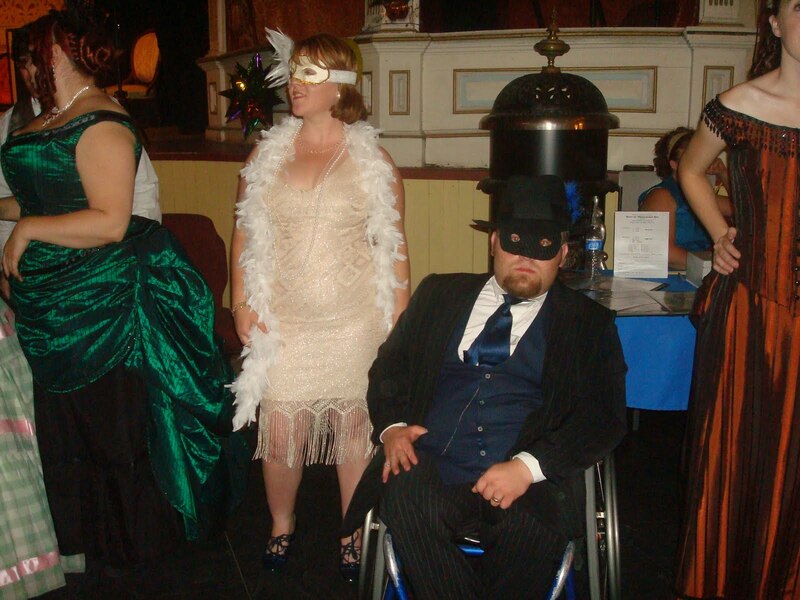 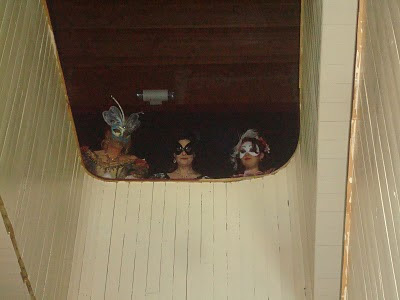 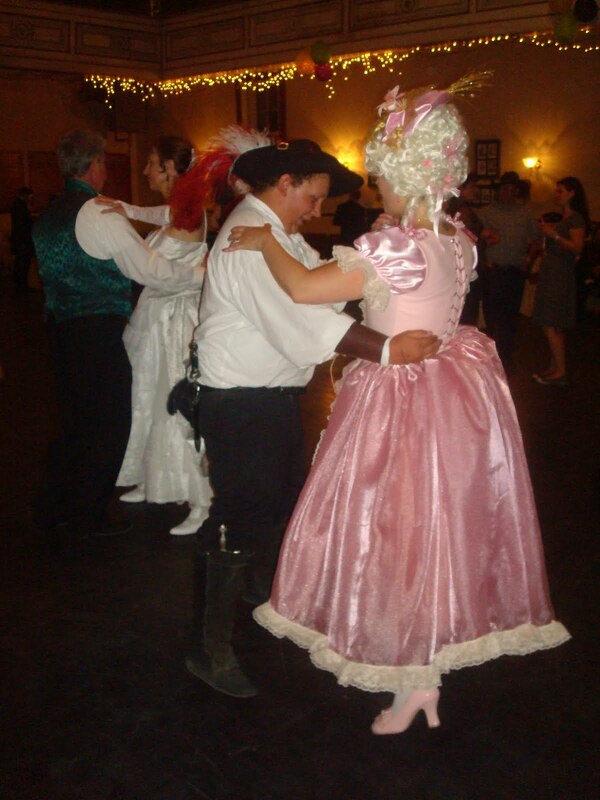 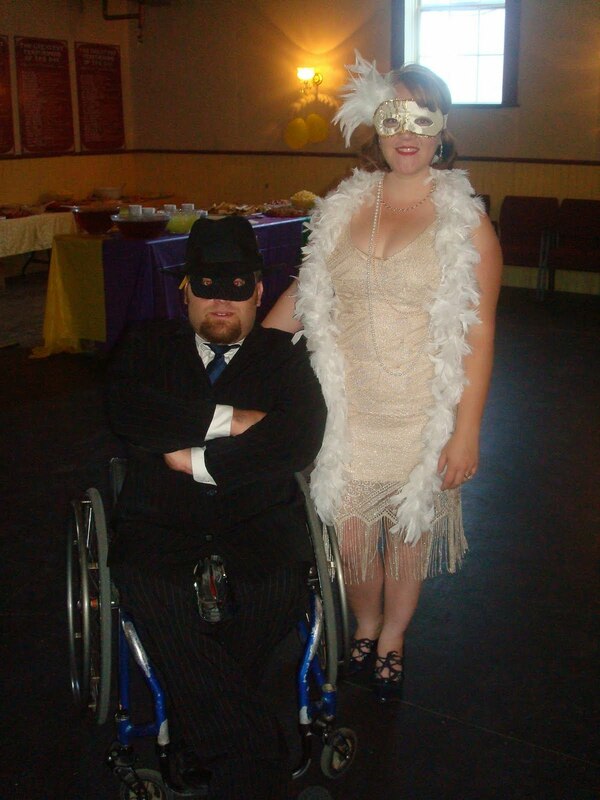 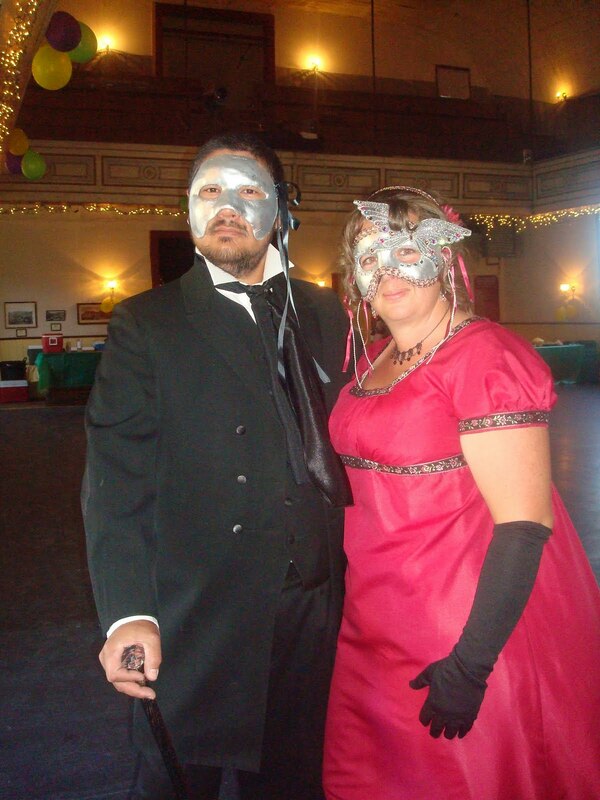 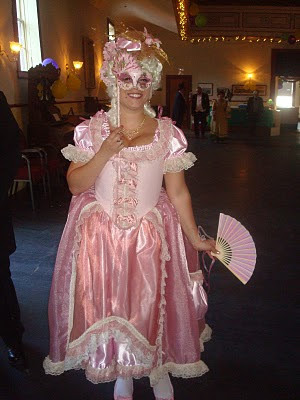 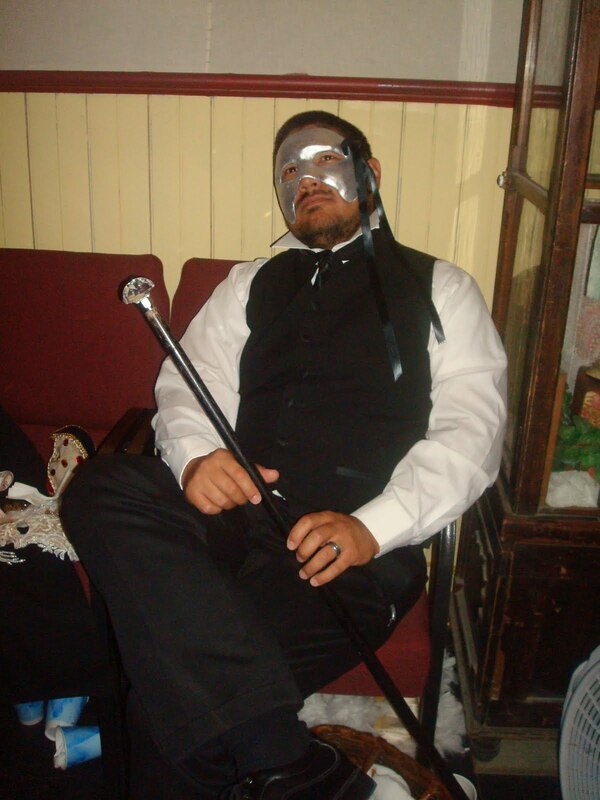 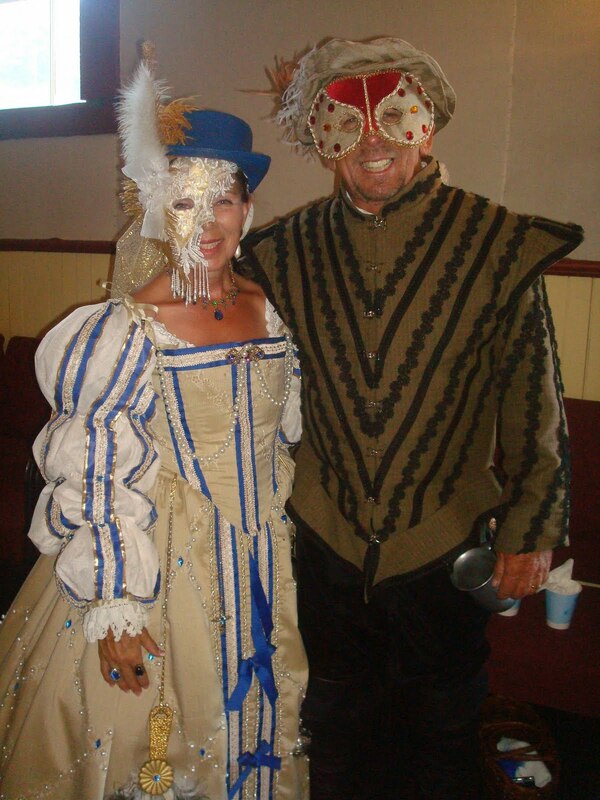 On July 10, 2010, Piper's Opera House in Virginia City held a Masquerade as a fund raiser. 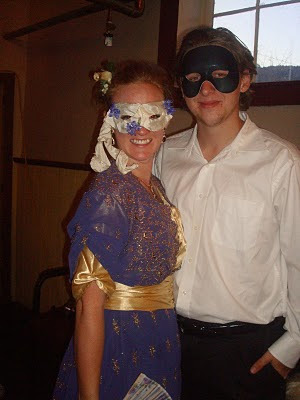 My husband and I made coordinating masks for the event. 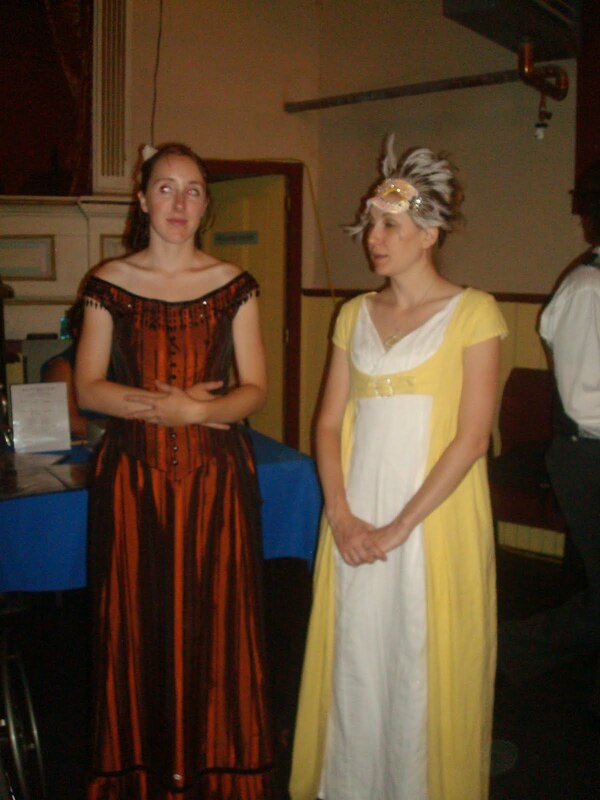 I wore my Regency gown I made last year. It was very freeing to dance in a dress without a hoop or bustle. 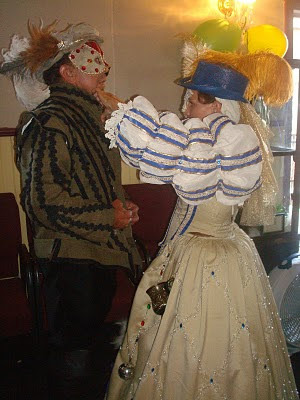 Lady Carolyn fixing her husband - uh, I mean her husband's doublet. 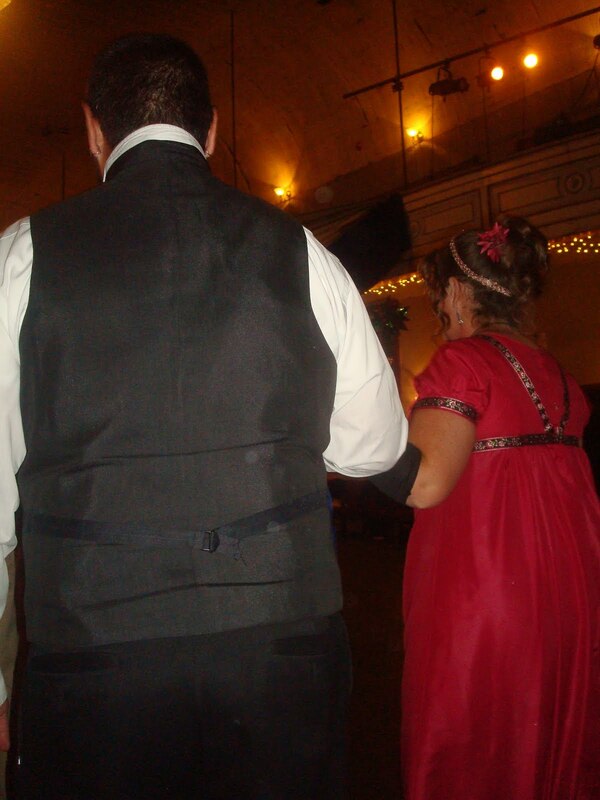 Lady Carolyn (who happens to be my mom) and my step-dad. More party-goers. 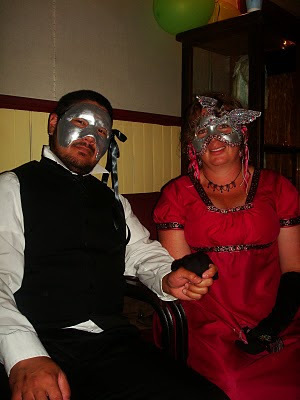 These just happen to be my brother and sister-in-law.